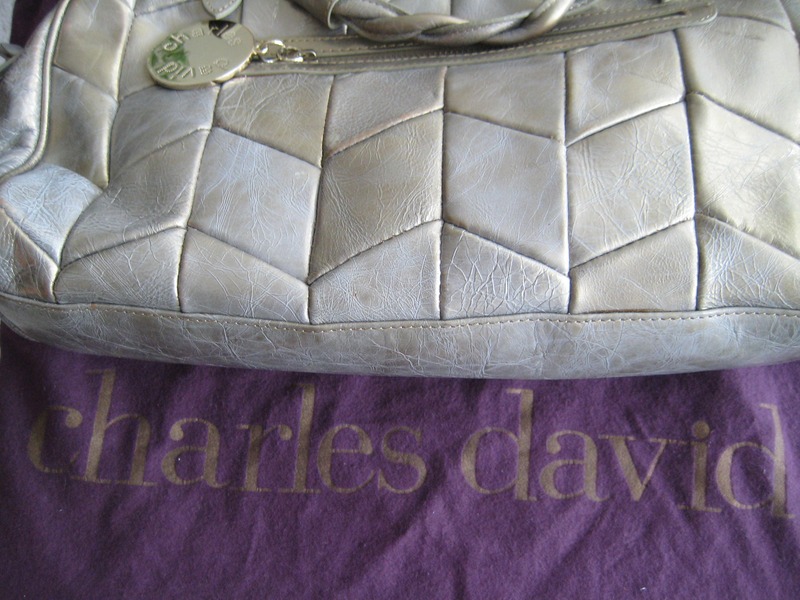 Late vintage leather slouch bag by famous maker Charles David. Comes with original storage bag. 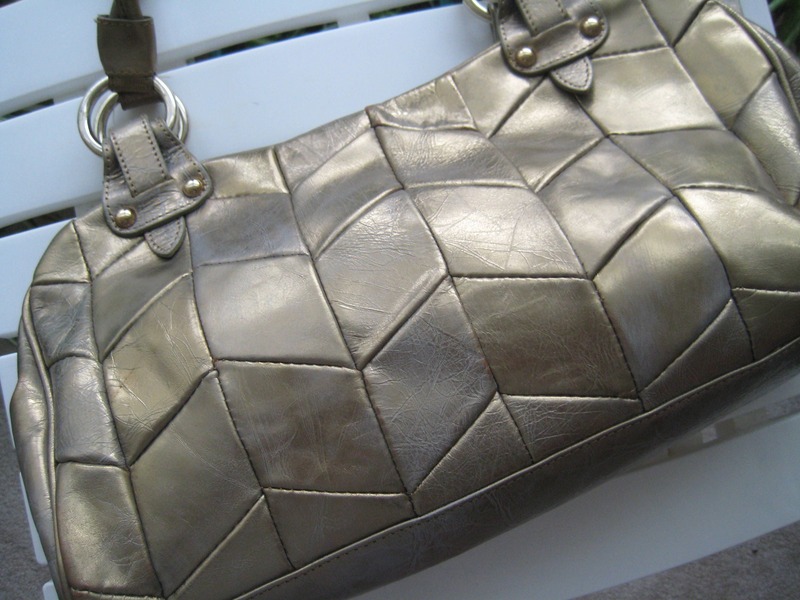 Roomy gold tone leather bag with a weave-look. Colors are intentionally in varying gold, slightly bronzey tones. Leather handle with an 8 inch drop. Outside zippered pocket. Polyester interior lining with a few use marks. 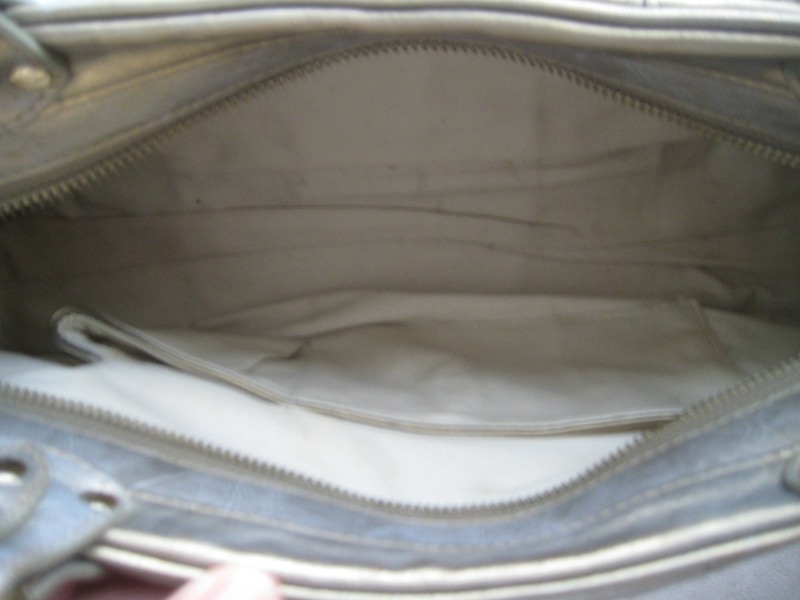 Interior zippered pocket. 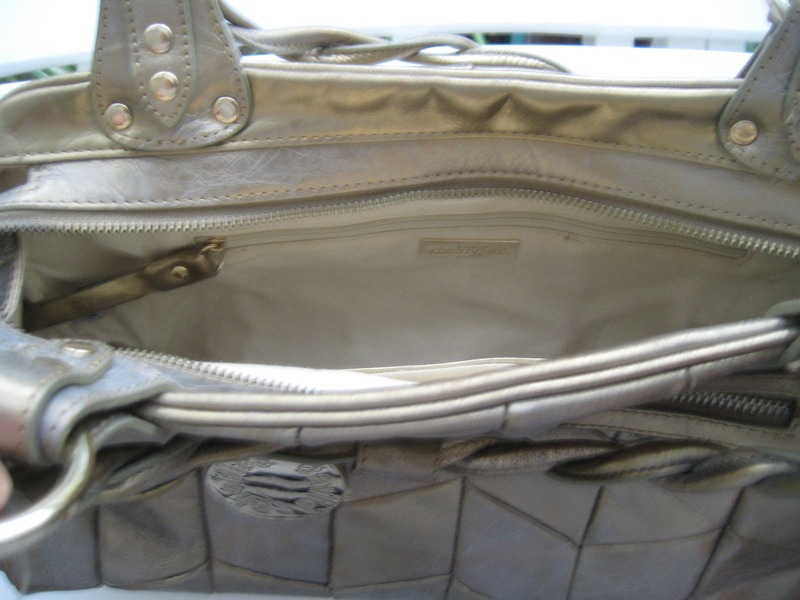 Very roomy, sharp looking bag. Original Charles David medallion. Dimensions: 16 inches long x 10 inches tall. 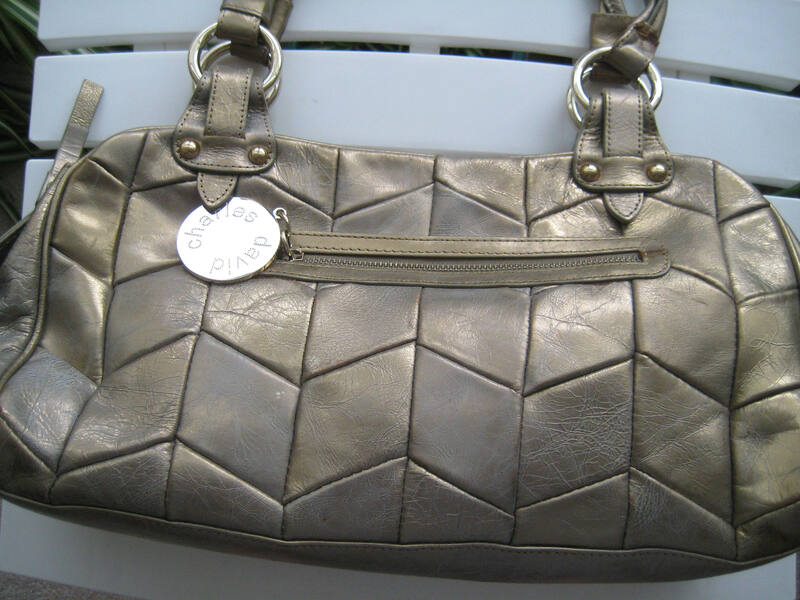 This purse originally cost $250!